Noble Driving School offer a new and exciting way to learn to drive where the training is carefully planned, expertly delivered and combined with modern training resources to ensure that your training is both effective and enjoyable. We are amongst the best trained instructors in the Alberta. All, as a minimum, are licensed by the Department of Transport (Driving Standards Agency) to give driving tuition. All use the revolutionary Noble System of tuition for driving lessons and intensive courses. The result is you learn faster for less money and look forward to each lesson. We are trained in the latest adult teaching and motivational methods to ensure that your training is not only effective but also highly enjoyable. These days, knowing how to drive a car has become a necessity. One cannot rely on cabs or drivers to take you from one place to another. One has to become self-reliant and learn driving. These days, there is no dearth of driving schools that teach driving to people in a safe and systematic manner. 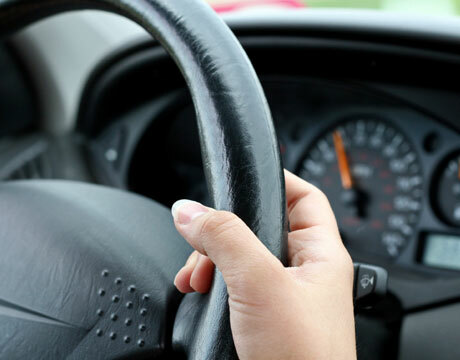 One can join any Driving School in Edmonton and learn driving in just a few days. The latest technology oriented institute make use of the best tools to make people understand simple basics of driving a car. This school provides many driving course such as 15 hours in class and 10 hours in car with perfection. Simulating technique which gives you learn while you play and enjoy is also a good way to learn and is a part of Professional New Driver Training in Edmonton. 15 hours in class teach learners with driving tricks, practices and can be availed by people for better learning. The trainers of the school are quite expert and efficient having a great experience in this field. There are driving schools that can be considered as the best Professional New Driving School in Edmonton with well expert, easy adapting environment, new effective simulating tools and low price. These schools are authorized with concerned authorities. They also support trainee in their learning process as per their convenience. The school also provide free pick off and drop off facility. The idea is to take out the road driving fear using nest driving techniques in simulation which assures danger free training and provide all knowledge about rules and regulations. Before engaging the services of a school, one can go through the Driving School Reviews in Edmonton as it gives an idea about the quality of services imparted by the school. One can find out more about the Edmonton Driving School Prices on the internet. ● To ensure you are well equipped to drive on the roads.